After asking on the Bioclipse users list it turns out there was an unpublished manager method to trigger parsing of the SDF properties (Arvid++), allowing to simplify creation of the index and not needed parsing of the chemical structures into a CDK molecule model. This code actually does a bit more than copying the SD file entry: it also removes all previous SD fields and replace this with a new, internal identifier. 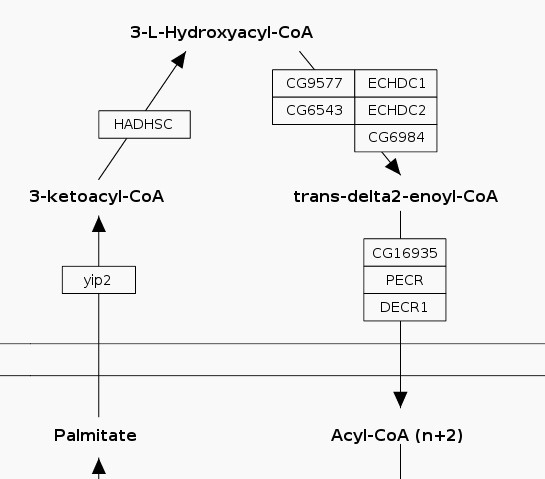 Using that identifier, I track some metadata on this metabolite. Now, there are a million ways of implementing this workflow. If you really want to know, I chose this one because HMDB identifiers is a more prominent ID used in WikiPathways, and for this one, as well as ChEBI, I can use a SD file. 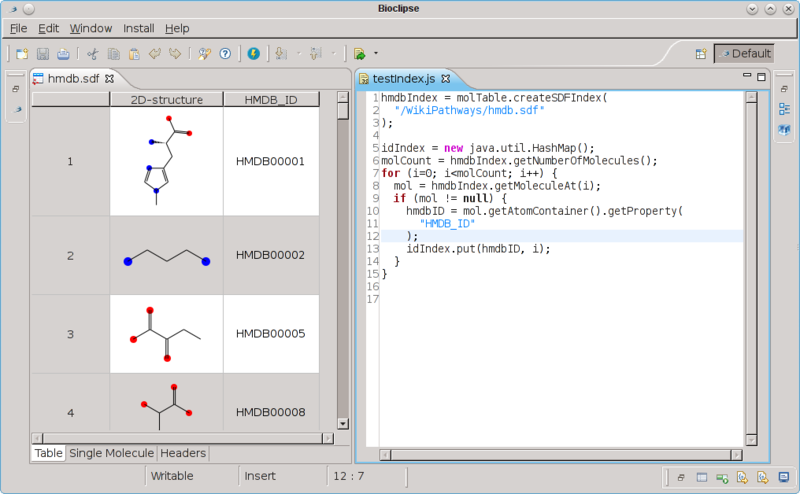 For ChemSpider and PubChem identifiers, however, I plan to use the matching Bioclipse client code to pull in MDL molfiles. Bioclipse has functionality for all these needs available as extensions. Using this approach, I can create an index by HMDB identifier of molfiles in the HMDB SD file extract just those molfiles which are found in WikiPathways, and create a new WikiPathways dedicated SD file. When I have the HMDB identifiers done, ChEBI, PubChem, and ChemSpider will follow. It all started 3.5 years ago with a question on BioStar: how can one import RDF into R and because lack of an answer, I hacked up rrdf. Previously, I showed two examples and a vignette. Apparently, it was a niche, and I received good feedback. And it is starting to get cited in literature, e.g. by Vissoci et al. Furthermore, I used it in the ropenphacts package so when I write that up, I like to have something to refer people to for detail about the used rrdf package. 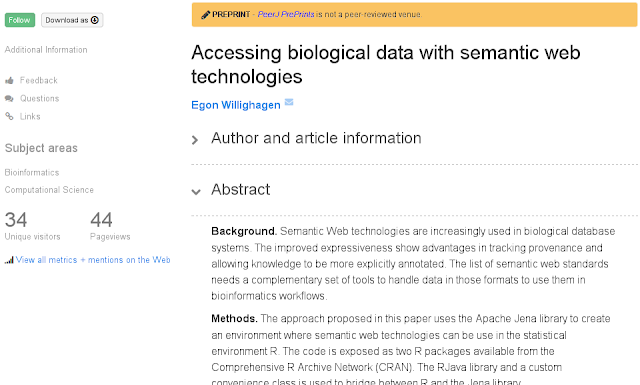 Thus, during the x-mas holidays I wrote up what I had in my mind, resulting in this preprint on the PeerJ PrePrints server, for you to comment on. Yes, please go ahead, read it, try the package ("install.packages(pkgs=c("rrdf"))"), ask questions, and comment on the preprint. I anticipate to submit it to a peer-reviewed journal by the end of this month. Vissoci, J. R. N. et al. A framework for reproducible, interactive research: Application to health and social sciences (2013). URL http://arxiv.org/abs/1304.5688.